STP Airways (www.stpairways.st) runs flights between the islands of São Tomé and Príncipe. Note that this airline is banned from flying in the EU. There are over 380km (236 miles) of roads, although in general these are deteriorating. 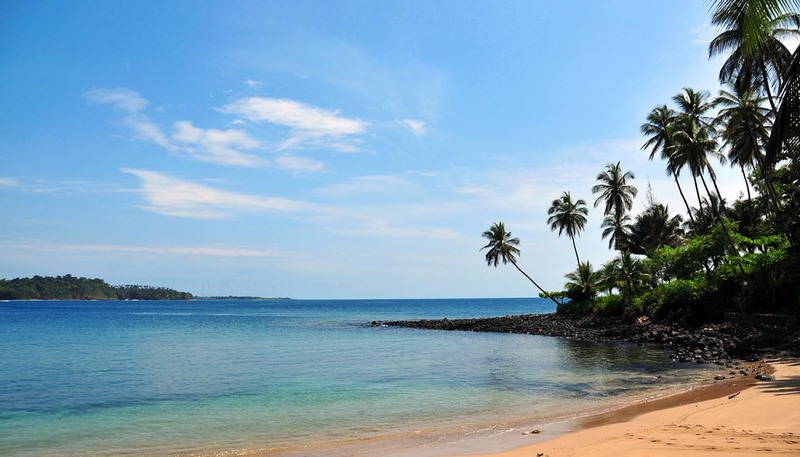 Some of them are asphalted around São Tomé town, but 4-wheel drive vehicles are necessary to get further afield; animals on the road and potholes may cause problems. There is street lighting only in the capital. You can arrange car hire through tour operators such as Navetur Equatour (www.navetur-equatour.st). Yellow share taxis and minibuses are in operation on São Tomé. There's also a limited minibus service on Príncipe. An International Driving Permit is not legally required but is recommended. A limited ferry service operates between São Tomé and Príncipe.